In recent years, the word ‘vape’ has entered the public consciousness in a big way. This is mostly due to the invention of electronic cigarettes and their popularity in countries with strict smoking laws. Yet, vaping is no new thing. Marijuana smokers have been doing it for a long time with kooky looking gadgets and fantastical desktop contraptions. However, it wasn’t until recently that weed vaping became accessible to even the most casual partakers. It should come as no surprise, then, that the end goal is the same. It doesn’t matter whether you smoke joints or burn your weed in a vaping device, the aim is to get high. If you’re in a country where marijuana is still illegal, vaping doesn’t change the fact, as some unlucky stoners are desperate to believe. What it does do – and you can judge the merits of this information – is make smoking much more subtle. There is less smoke when you vape. The smell is minimal. And all the people around you can see is a cool device, with some fancy lights. Even in countries where weed is decriminalized, it’s just a very polite and civilized way to blaze. So, what is a vaporizer? What do these little gadgets do? Well, vaping devices heat up the marijuana in a sealed container. It can be added as dry herb or as a weed concentrate. In either case, the drug is heated but never burned. This is the big difference between vaping and smoking. At a certain temperature, the THC gets released, and you can puff on the end for a smooth, mellow high. Vaporizers come in a huge variety of shapes and sizes. They range from the most expensive, ‘mad scientist’ looking machines to super portable, pocket-sized products. The question is, why should you vape? If you already smoke your weed, what’s the benefit in switching to a burn free method? Though marijuana may be a lot less risky to smoke than tobacco, it isn’t some pure and cleansing substance. Burning the herb releases over a hundred toxins and, yes, some of them have been linked to the growth of cancer cells. The good news is vaporizing doesn’t burn the weed, so these toxins are never released. This makes vaping your weed a significantly healthier way to get high. According to a number of medical studies, the effects of vaping are largely the same, but the consequences are not. So, making the switch is good for your health. There is a distinct lack of research on long-term vaping and its effects on the lungs. So, we don’t know for certain whether this method of smoking is safe or any safer than burning. Nevertheless, deductions can be made, based on how vaporizers work. Many experts believe it has to be a safer option because you’re not breathing in all those nasty chemicals. In theory, it should be much gentler on the lungs and help to prevent many of the problems suffered by long-term weed and tobacco smokers. If you are concerned about your health or you just dislike the tastes and aromas produced by burning, it’s worth giving vaping a try. Not only does it eliminate both of these gripes, but it is also kinder to the lungs and airways. Better Pain Relief It’s important to remember that smoking marijuana is more than a recreational pastime. Hundreds of thousands of people, all around the world, consume the drug as a way to soothe pain and chronic sickness. Vaping can be a huge asset for these people because smoking is not always an easy thing to do when you’re sick. Plus, it’s counterintuitive to take something that’s good for you in a way that causes different kinds of harm. So, vaporizers are very popular with those who consume weed as a form of pain relief. It is an easier method of dosing, and it provides an almost instant physiological response. When you’re sick or in pain, speed is of the essence. You want a quick high, but one that is also even and enjoyable. It shouldn’t come on too heavy or feel overwhelming. This is what vaping your weed delivers, whether you’re consuming for pleasure or necessity. 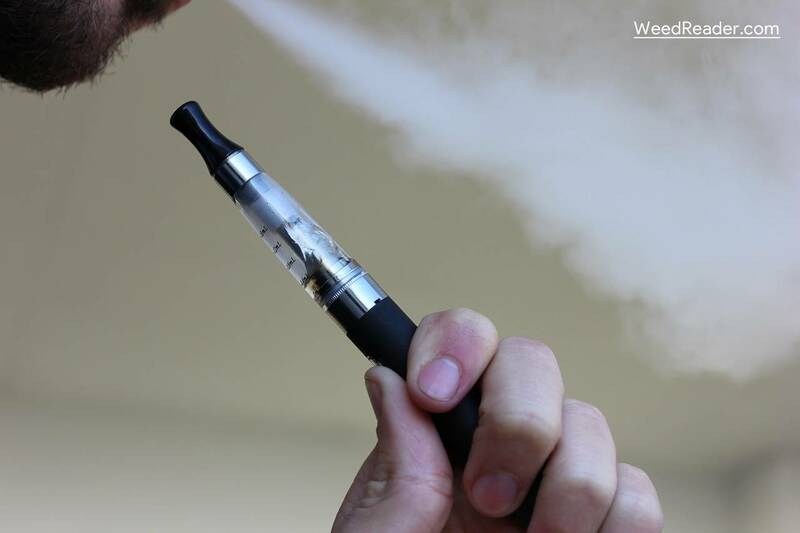 According to a comprehensive study, vaping ranks the highest for side effect satisfaction. This means there are fewer unwanted or unpleasant side effects when vaporizing, as compared with smoking marijuana. Perhaps most importantly, those who vaped described themselves as significantly more functional. They reported a clearer-headed high, as opposed to the fuzziness that often comes with smoking. It’s also easier to vape than it is to smoke, particularly if you’re not accustomed to either. Vaporizing can be achieved in short, shallow puffs, whereas smoking tends to require long, deep breaths. This is why rookies can end up with a bad cough when trying marijuana for the first time. Finally, it’s worth mentioning the efficiency of vaping your weed. Less marijuana is needed to generate the same highs, so it’s economical too. Even things like tea and edibles require the use of a lot more herb to get suitably baked. There are many vaporizers on the market to choose from. There are a 2 main types of vaporizers. Desktop vaporizers and portable vaporizers. Desktops are vaporizers that draw electricity from a wall plug and are meant for at home use. A popular example of a desktop vaporizer is the Volcano by Storz and Bickel. Portables are devices that draw power from a portable battery and can be used on the go. An example of a portable vaporizer is the Atmos 5G. If you’re looking to purchase a vaporizer, read the in-depth vape reviews at websites like iMarijuanit. Everybody is different, of course. What works for one person might feel utterly alien and unenjoyable for another. So, it’s important to follow your own path and only try things that you’re comfortable using and consuming. If you’ve never tried vaping before, but you’d like to experiment, it’s probably best to buy a cheaper device at first. That way, you can get used to the method of smoking and decide if investing in a high-quality vaporizer is the right choice.